The US military will begin testing 5G technology later this year with an eye toward how it might be used in war. Further, the Pentagon's top weapons buyer said such tests will likely use equipment from Finland's Nokia and Sweden's Ericsson. And, not surprisingly, officials' discussions on the topic touched on the ongoing battle over whether Chinese suppliers like Huawei and ZTE pose a threat to the development of 5G technology in general and US communications specifically. Those concerns came into further focus this week following the release of the European Commission's recommendations on cybersecurity in 5G networks; they essentially call for EU countries to jointly study the issue and then take a common approach to the security of 5G networks. "We welcome the European Commission's ambitions to strengthen Europe's critical digital infrastructure through a common EU approach to the security of 5G networks so to avoid fragmentation, and ensure a proportionate and coherent approach to this important issue," wrote the GSMA, the global wireless industry's premier trade association, following the release of the EU's recommendations. The EU's 5G cybersecurity recommendations are likely geared to slow US efforts to prevent the spread of Huawei equipment in Germany, Japan and other US allies. US officials have said that the United States might reconsider working with countries where Huawei equipment is deployed, arguing such a situation would create a security risk. Huawei, for its part, has rejected the notion that its equipment would open a backdoor for Chinese espionage. Ellen Lord, the Department of Defense's undersecretary of defense for acquisition and sustainment, said this week that the spread of Huawei equipment is "a huge concern for us." In her role, Lord oversees much of the US military's equipment procurement. Continued Lord: "If our allies and partners go with a Huawei solution we need to reconsider how we share critical information with them," according to a Bloomberg report of her comments. 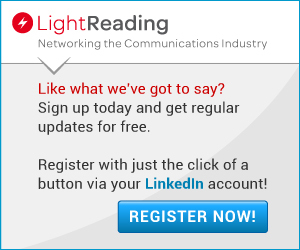 You're invited to attend Light Reading’s Big 5G Event! Formerly the Big Communications Event and 5G North America, Big 5G is where telecom's brightest minds deliver the critical insight needed to piece together the 5G puzzle. We'll see you May 6-8 in Denver -- communications service providers get in free! Lord made her statements, which were widely reported by multiple media outlets, at an event held by the think tank Atlantic Council. She discussed both the DoD's efforts to test 5G technology and also reiterated the US military's concern over possible security risks posed by Chinese equipment suppliers. Although top officials among US allies, such as Germany, have so far pushed back against US warnings over Huawei equipment, Lord argued that the US military has received much more support on the topic from military leaders in other countries. "There is actually a huge dialog going on about what is the path forward," Lord said, according to a Reuters report of her comments. "We have frankly seen a lot of our European allies leaning forward to work with us on that." This isn't the first time US military officials have spoken out on the topic of 5G security. "Secure and resilient 5G telecommunications is vital to the security and prosperity of the United States, and DoD is working closely with our industrial and research partners to develop comprehensive and innovative solutions for both the department and commercial industries," Patrick Shanahan, the US government's acting secretary of defense, said in a February statement. "The United States and our allies and partners must demand nothing less than robust, trusted, and secure next-generation communications systems." According to a detailed report from InsideDefense, the DoD's 5G tests stem from orders given by former US Defense Secretary Jim Mattis late last year. According to the publication, Mattis tasked the Defense Innovation Board, the Defense Science Board and the Defense Policy Board to study how 5G would affect the DoD. "5G is going to change the way we communicate," the Pentagon's Lord reiterated this week. "It will also change our industrial base and how we organize ourselves." "We're actually going to go through a whole series of experiments to understand what distances can we communicate over?" Lord continued. "What is the latency? What is the interference? What do we need to do in order to have the right equipment to bring us capability?" And Lord acknowledged that the US military may not be able to source all of its 5G equipment from US companies. "Right now, we as the US have critical capability in terms of chips, [Field Programmable Gate Arrays], many of the components that go into 5G, but we don't have the infrastructure," she said. "We are now depending on like-minded nations, our allies and partners, to do that. That's a new business model for us." Lord added said that the DoD's upcoming 5G tests likely will be funded by the Office of the Secretary of Defense, but that next year the Pentagon may create a specific pool of money for its 5G-related efforts. News of the DoD's pending 5G tests comes at an interesting time. Both Verizon and AT&T this week received approval from the US government's General Service Administration's (GSA) to participate in the massive Enterprise Infrastructure Solutions (EIS) contract. EIS is a government-wide contract that allows federal agencies to leverage the government's buying power to procure next-generation communications services. It replaces older government buying contracts like Networx, WITS3 and others. I updated the article to clarify the nature of the Atlantic Council as independent. Juniper & Ericsson – How can 5G live up to its potential?